I love make up, I always have and I always will. I love how I feel when I have it on, the colours and putting it on as well. So picking some of my favourite items was a little hard, I thought since I wear make up everyday for work that instead of going through all the palette's I wear when I'm not at work, I would pick from my day to day make up that I use. 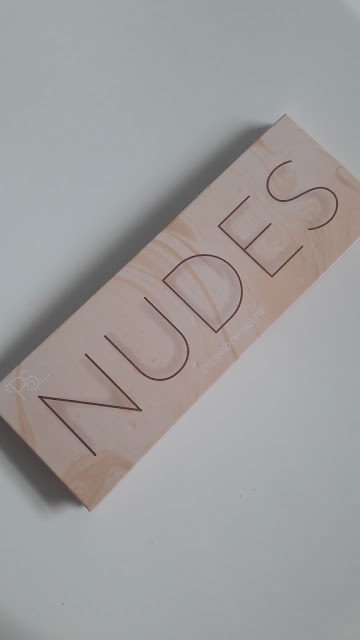 First is a lovely bargain from everyones favourite place Primark, this sweet little palette is there Nudes Collection it is meant to be the dupe of the Urban Decay Naked palette, although I don't know for myself as I don't own it. I love the colours in this, they are so good for everyday and you do get some good pigmentation from them. The first colour which is the white, is so good for an inner corner highlight, it looks matte in the picture but it isn't. As you can tell my favourite colour is the 'Café Crème' (from the indentation haha) it is so nice I love it. One a daily basis I will use the brown tones because I love that look, it is so nice. 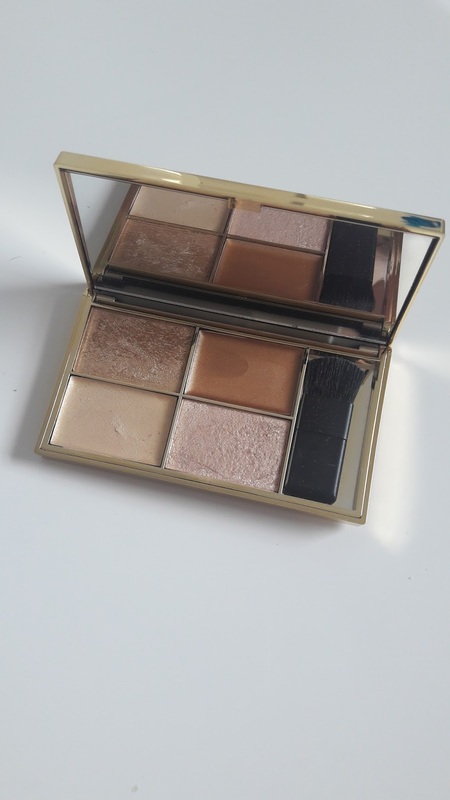 The only downside to this palette is that there isn't a mirror, so I have to go between palette's when I use this, but for £4 the colours are lovely and the packaging is really good too. Next is my contour, which is the Rimmel London Sculting Palette By Kate, I got this from boots for £6.99 a while ago and ever since I bought it I have loved it. I got introduced to it by Alix from I Covet Thee on YouTube, on her video 'How to do you make up in 5 Minutes'. It is so simple to use and like in Alix's video, it's super quick. They do two colours so because I am about as pale as Casper the friendly ghost I use the lighter of the two which is 002. 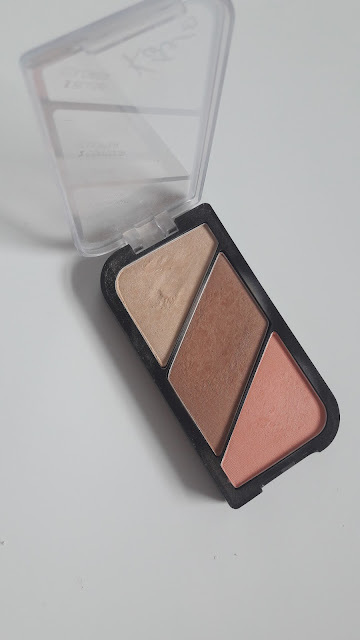 I also love the blusher in this, it is a really nice coral colour which matches a lipstick I wear to work a lot so it ties in the look really well. Again from the pictures you can tell the palette is very well worn. The only problem I find which I think might just be me, is the highlight isn't very pigmented so I do use it but I also put another highlighter underneath, just to get the look I want. 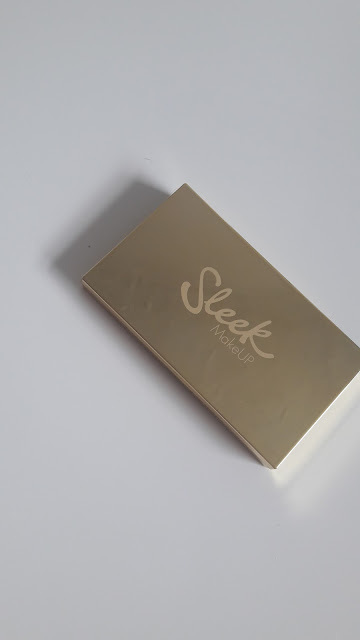 The last favourite item I have at the moment is only about a week old for me, I have never bought anything from Sleek before but the Boots where I live has a very nice selection, so I got the Highlighting Palette in shade Cleopatra's Kiss. The colours are gorgeous, there are golds and pinks and they are so so cute. 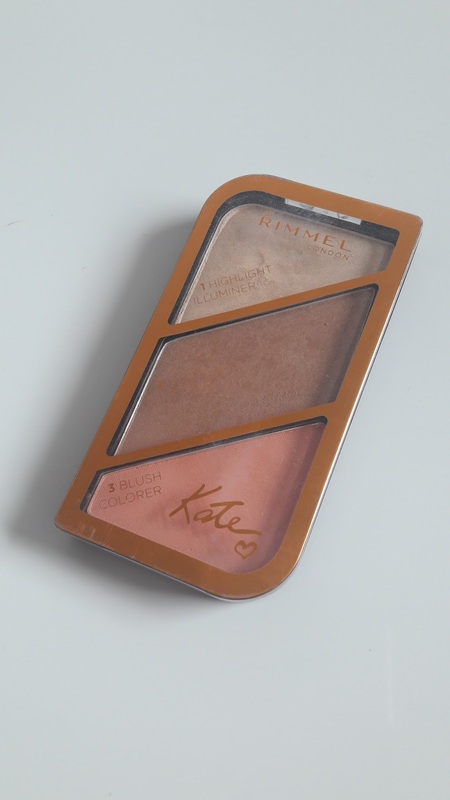 You get two cream shades and two powder shades, I have never used cream highlighters before and to be honest they did scare me a little bit but I love them, they are so much easier to use. I find I get a nice pigmentation if I use my fingers to apply it. On a day to day basis I will use a cream on the bottom and put the Rimmel highlighter from the Sculpting Palette on top and it shows up really nicely. 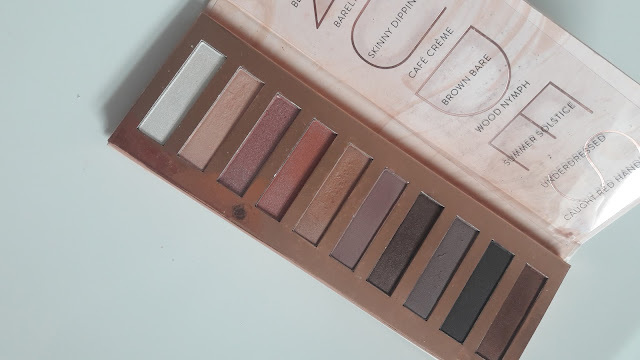 The palette does come with a little brush but I don't like it, it seems really hard and stiff. I don't tend to use brushes that come with make up anyway, like with eye shadow palettes, I never use them I much prefer my own brushes. So there you have it those are my favourite make up items at the moment. What are your favs? Do you agree with mine?